It’s 3am and you can’t sleep. 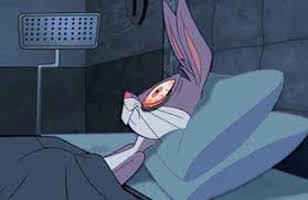 3am and you can’t sleep? Ugh. This post is for you. This post about one of my long-time, reliable “THE FIRST THING IS THIS: YOU NEED TO SLEEP” recommendations — because sleep is such a bottom-line linchpin in health, mood, work performance, brain function, safety, and even relationships. Here it is — actually, here SHE is: Belleruth Naparstek. 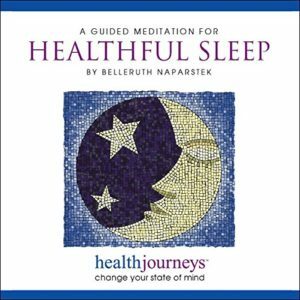 I used to refer to Belleruth as the Queen of guided imagery for her amazing, empirically-driven work on helping people use the power of this technique, using the mind to help the body. I’ve since elevated her to Empress, because she’s just. that. good. Over the years, she’s developed an extensive, well-researched audio library covering many of the things that can ail us — but for this post, it’s all about sleep. Don’t let the title fool you — it’s not just meditation. As she says, “To heal your body, it helps to use your head.” She uses imagery and more to use your mind to help your body, and your body to help your brain get to sleep. Focussing on breath and heart rate, using your (guided) imagination to train your body to let go of muscle tension, and more — she incorporates them all seamlessly. Even the background music (which can sound kinda New-Age-y) was specifically composed and researched to help. I went back and looked at the success rate for patients to whom I’ve recommended this when they’ve had a hard time sleeping. Going back over close to 20 years, it’s an astonishing 96%. Yep – ninety-six percent of patients who used it found it helpful for falling asleep, sleeping better, and waking up more refreshed.